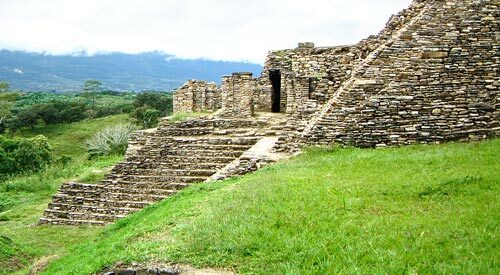 W0442 Palacio de las Grecas The Palacio de las Grecas, or Palace of the Frets, spans the third and fourth terraces of Tonina’s towering seven tiered acropolis. 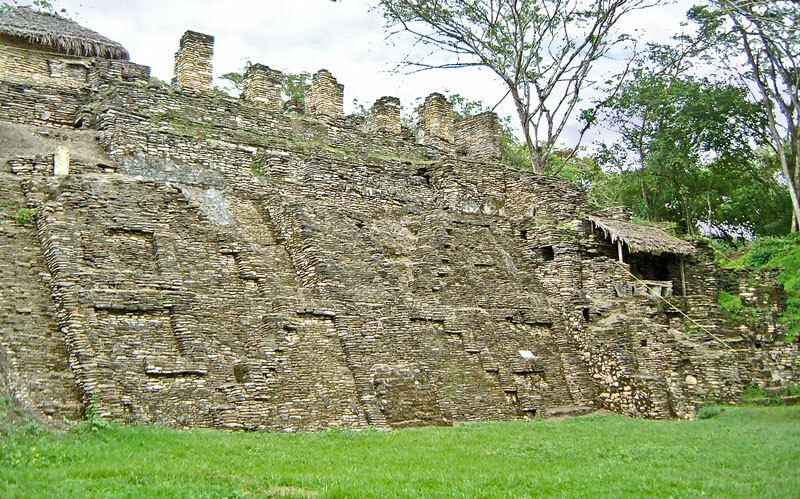 The structure takes its name from the enormous stepped fret motifs that span the entire height of the third terrace’s retaining wall, which also supports the palace structure directly above on level four. 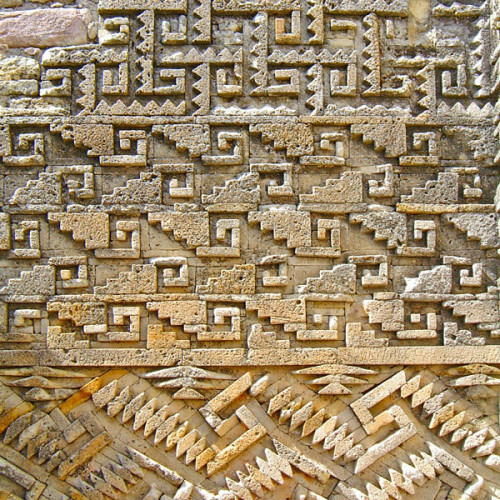 The familiarity with decorative patterns used on Greek textiles and buildings from ancient times, and has led to the name “Palacio de las Grecas”. There are many credible proposals on what the giant pattern means and in which direction it should be read. It is quite likely that the pattern is encoded to be read in multiple directions to give a multitude meanings. The most popular conclusions are that the motif has seven steps rising diagonally like the stairs of a temple, which could represent Tonina’s seven tiered acropolis, whilst two squared spiral motifs produce the distinctive image of a bifurcated snake tongue (seen clearly on the left edge of fig. W0442). 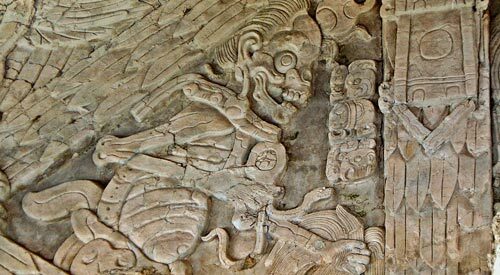 Combine these two symbols together and the motif could be considered to tell us that Tonina is the Place of the Serpent God, known as Kukulkan to the Maya and Quetzalcoatl elsewhere. 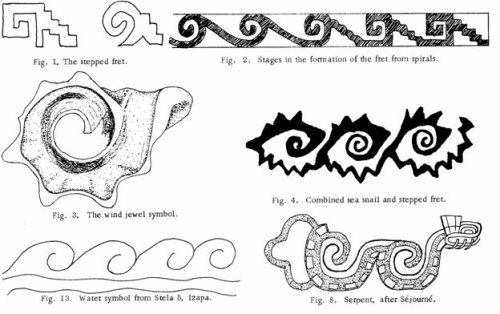 Fig W0315: Spiral Designs of MitlaHowever, the iconography extends beyond this simple conclusion, because the serpent tongue is the product of vertically mirroring a more common Mesoamerican motif that features a squared spiral leading into diagonal steps. 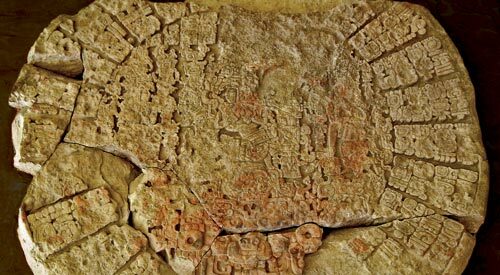 This symbol is a familiar sight on the walls of the 7th century Zapotec city of Mitla (see fig W0315). At Mitla, the motif is used as a infinitely recurring logo that cleverly loops an identical negative form (i.e. the raised fretwork and the sunken bare wall create an identical pattern, but in reverse of one another). This intertwined image of light and dark, being the same yet opposite, has profound connotations (similar to the Chinese Yin and Yang). It is thought the design is based on either a dissected seashell, the rolling waves of the sea, or the undulating motion of a serpent (see fig. MS01). The frequency that the spiral is found amongst elementary forms in nature, such as ammonites, shells, and unfurling plants, suggests it is fundamental part of our universe. MS01: The Mesoamerican Spiral (click to visit original page)In fact, even the galaxy in which we live, the Milky Way, is an enormous spiral. 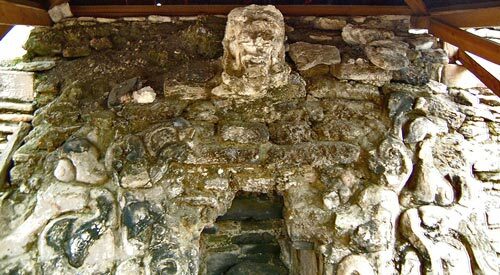 It is thought that the Maya used the spiral, or “Sacred G”, to represent the fundamental transferral energy around the universe. 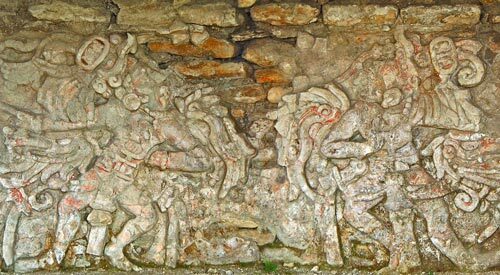 This also tied in with their belief that through death came life, as energy transferred from one form to another. Therefore, it is most probable that the motif represents life and death, with the light and dark images cleverly intertwined to demonstrate how as one ended the other began. 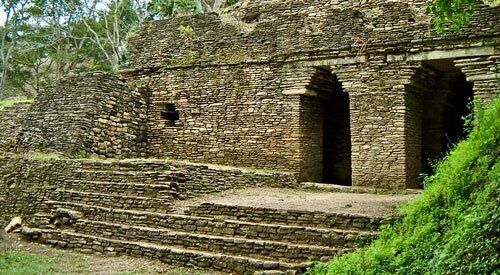 Many Mesoamerican tribes also believed that the greater the energy expelled during death, the greater the life that would be created. This is why they employed violent forms of sacrifice and a life of almost constant warfare. 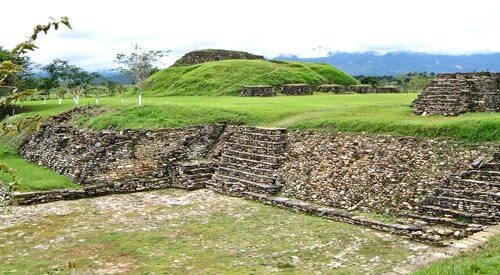 Evidence around Tonina suggests that sacrifice, war, and the deadly ball-game were a major part of life for the people of the city. 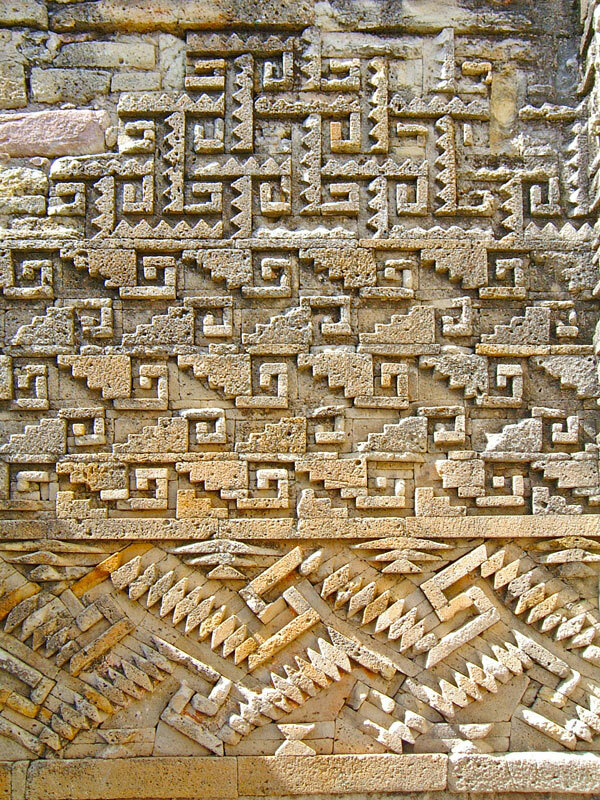 Therefore, the huge motifs on the Palacio de las Grecas were probably designed to broadcast the city’s dogma, which was that the violent death bestowed on the people of the city and their neighbours was designed to yield ever greater power, transferring the idea of a cycle of life into a spiral of life, where power was ever expanding outwards.